Mulgrave of December 2011. The John Sands organisation appointed ODC Design in late August 2011 after a dramatic and disappointing cost blow-out from a previous architectural and building organisation for their fit out works. The look and feel of the space was essentially natural and soft using timbers and organic shapes and lines to accentuate the business of greeting cards and the essence of ‘paper’ production. ODC Design however managed to deliver the project well under John Sands budget requirements, using our 25 years of office fit out experience. 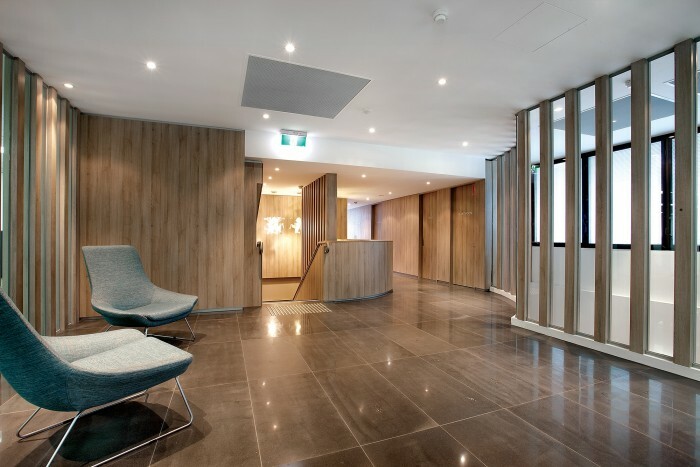 The project involved 150 workstations, 20 offices, 1 hour fire rated communication room, 1 boardroom, gift card showroom, 8 meeting rooms, large staff breakout, male and female toilet refurbishment and major upgrade to core foyers and corridors.